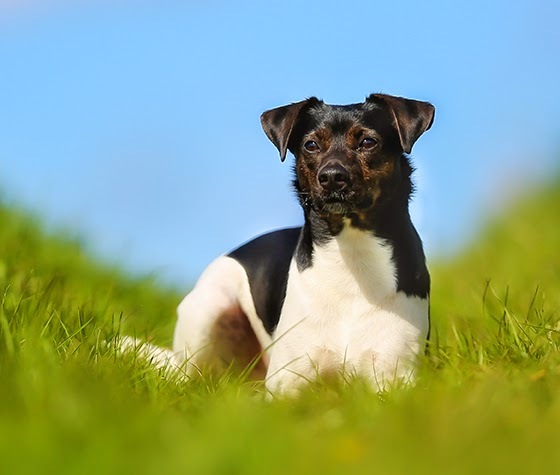 The Danish Swedish Farmdog originated in southern Sweden and Denmark, and the dogs historically lived and worked on farms in the area. They caught vermin, hunted, and protected the farms and animals from predators. Danish Swedish Farmdogs are known for being soft, gentle, and easygoing. They make great companions and are generally good with children. These dogs have a lot of energy and love having a job to do. They do very well in flyball, agility, and lure coursing. Many mistake them for terriers, but they are quite different dogs than terriers. As far as we know, the Danes and Swedes are not the best of friends, so this is an interesting combo! We're similar, but still different, lol. It's a geographical area that has belonged to Sweden in parts of history and to Denmark in other parts of history, so I'm guessing it's impossible to sort out in which country the breed really originated. Interesting to me is that I come from further north in Sweden and I hadn't even heard of the breed until a few weeks ago. I've probably seen them many times but never considered what breed it might be.